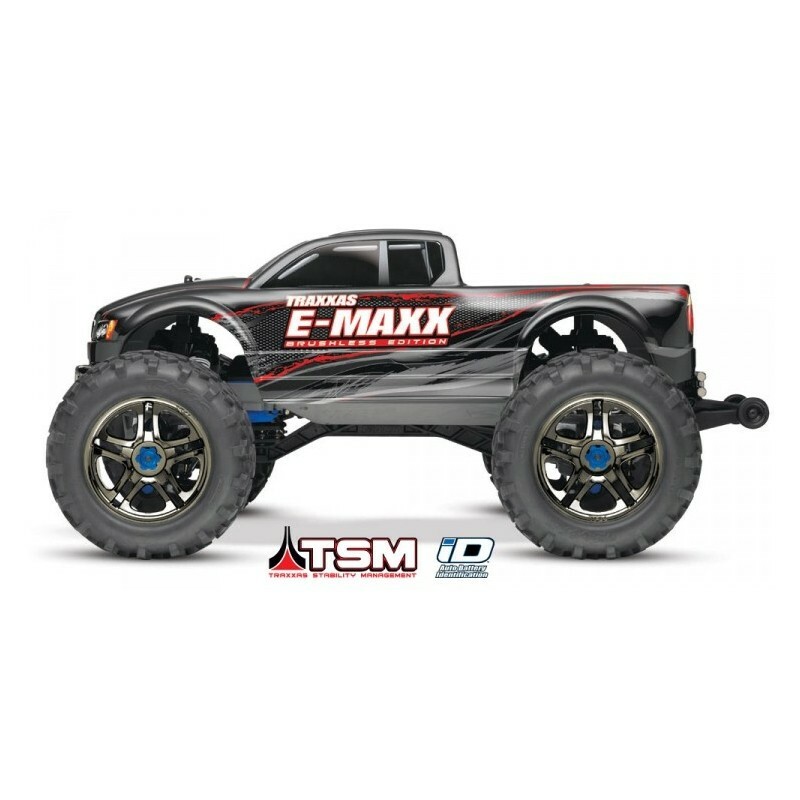 Den ultimative truck fra Traxxas i børsteløs version - uden batteri og lader. Skal det være ekstra vildt og næsten helt ude af kontrol? 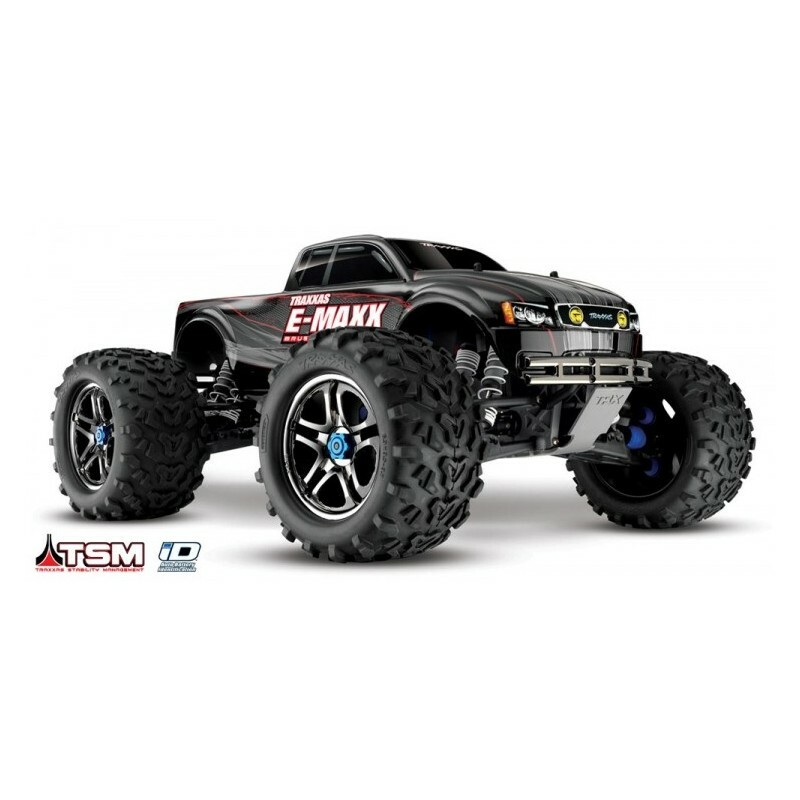 Så tjek E-Maxx Brushless 4WD - her uden batteri og lader, så du selv kan vælge. 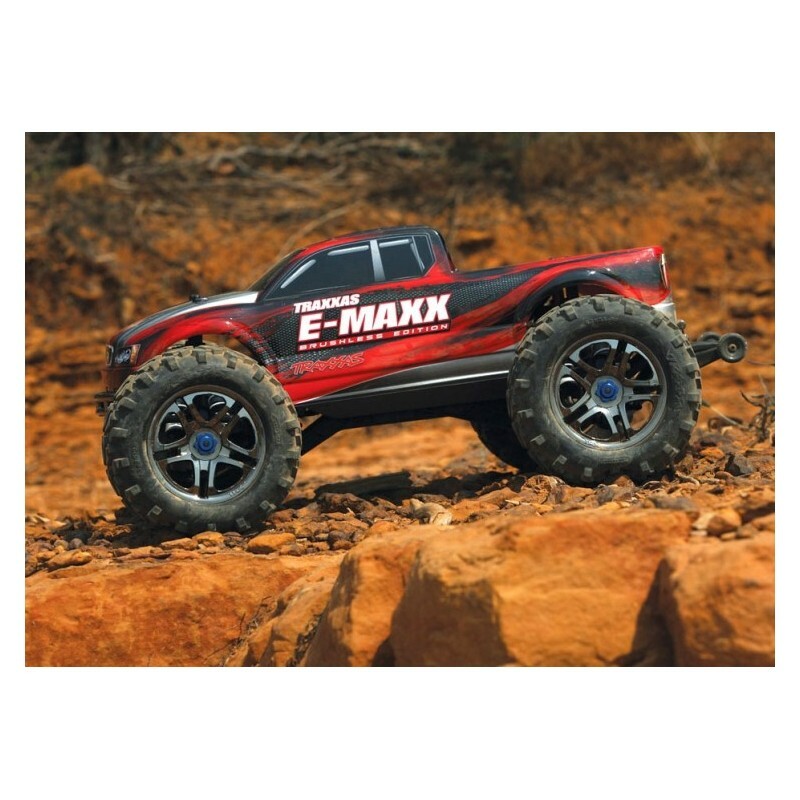 Farvevalg: E-Maxx Brushless findes i farverne sort, rød, blå og grå/sølv. På din ordre kan du i kommentarfeltet liste dine ønsker til farve i prioriteret rækkefølge. 2017: Nyeste version med TSM (holder automatisk retning) og "Self-righting", som gør at din bil selv kan vende sig igen såfremt den skulle ende på hovedet. 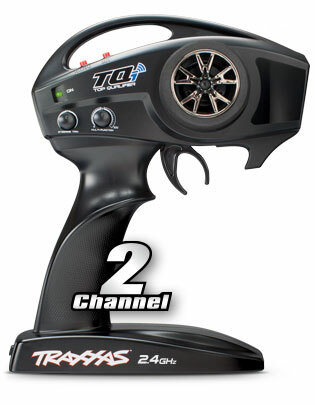 Firmware update using the included Traxxas Link Wireless Module and Traxxas Link App required for Self-Righting functionality. 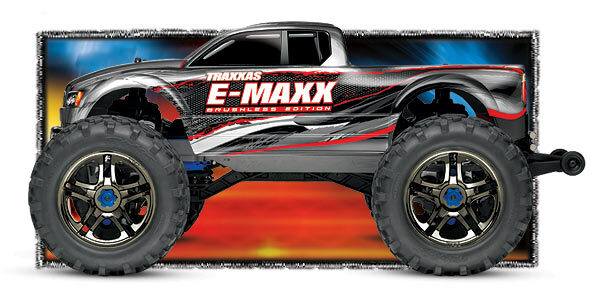 Requires Traxxas iD Power Cell 3-cell LiPo 11.1v batteries. 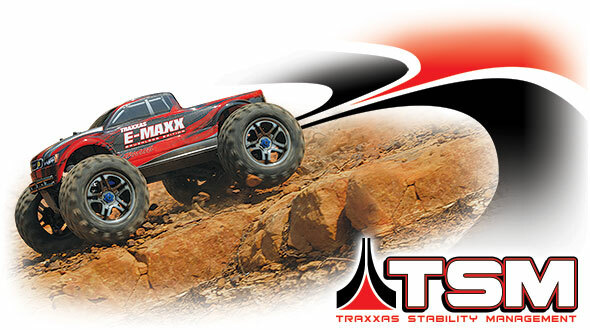 Traxxas' E-Maxx Brushless Edition is better equipped than ever! 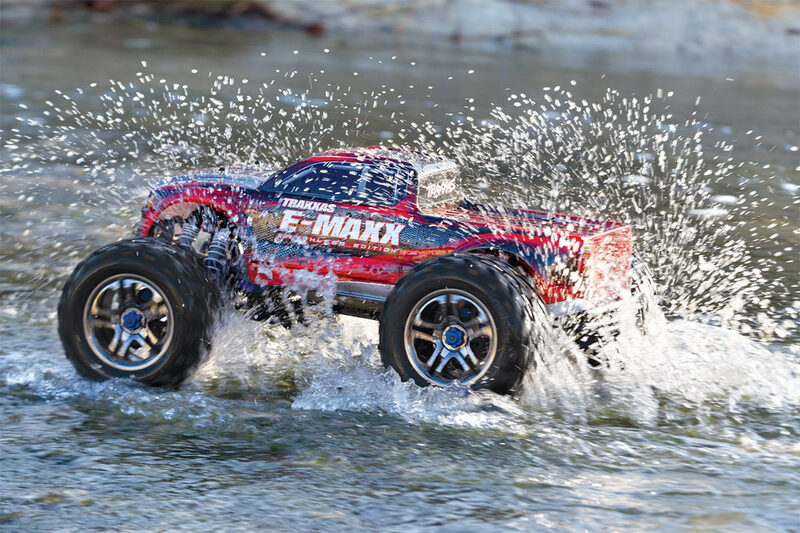 The already-loaded E-Maxx now includes Traxxas Stability Management™ waterproof electronics, and the TQi transmitter as standard equipment. 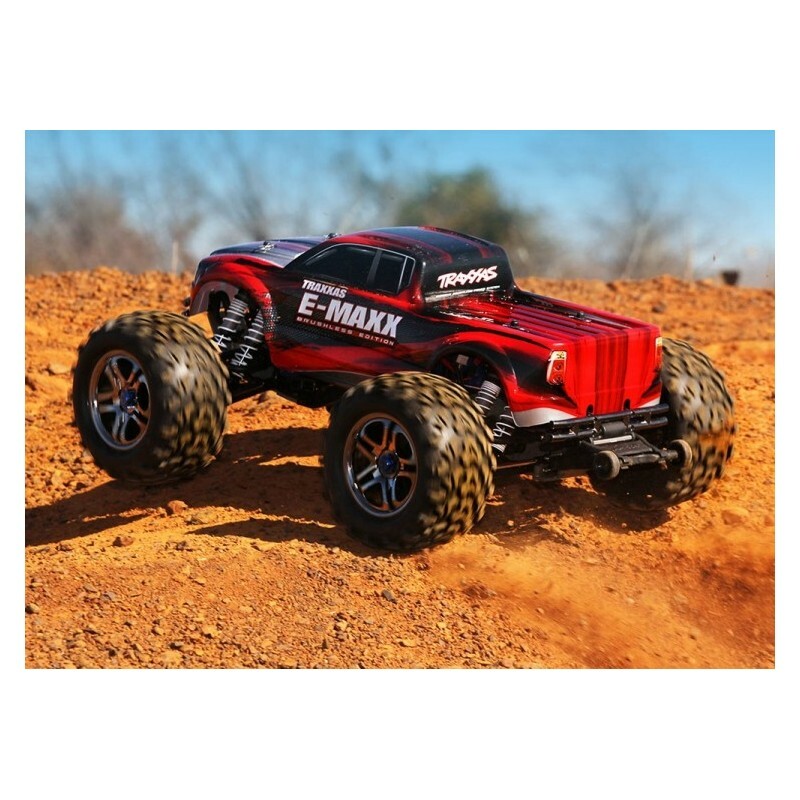 This heavy-duty setup gives E-Maxx wheel-lifting torque and brutally quick acceleration on the way to over 56kmh with two 7-cell NiMh batteries—or blow by 104kmh by installing optional Power Cell 3S LiPo batteries! 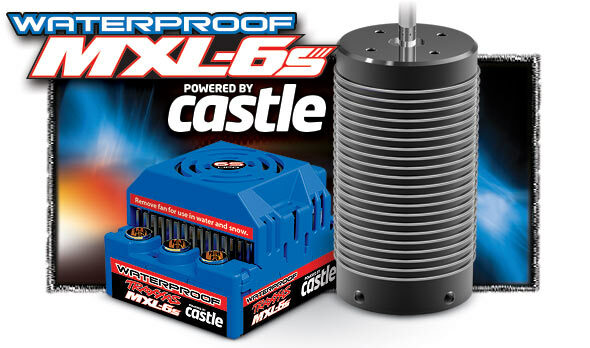 Built specifically to handle the rigors of large, power-hungry trucks, the waterproof MXL-6s electronic speed control is ready for 6S LiPo power with its massive 6.5 mm gold-plated connectors, high-efficiency heatsink, integrated cooling fan and heavy-duty components. 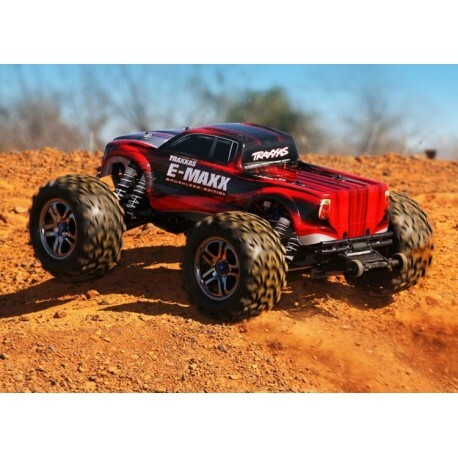 The speed control sends its power pulses to a 2200kV, 75 mm motor, designed specifically for maximum performance and reliability with 6S LiPo power in torque-hungry applications. The aluminum motor can is machined to act as a massive heatsink, high-grade bearings deliver maximum efficiency, and high-strength Neodymium magnets give E-Maxx Brushless Edition outrageous torque. 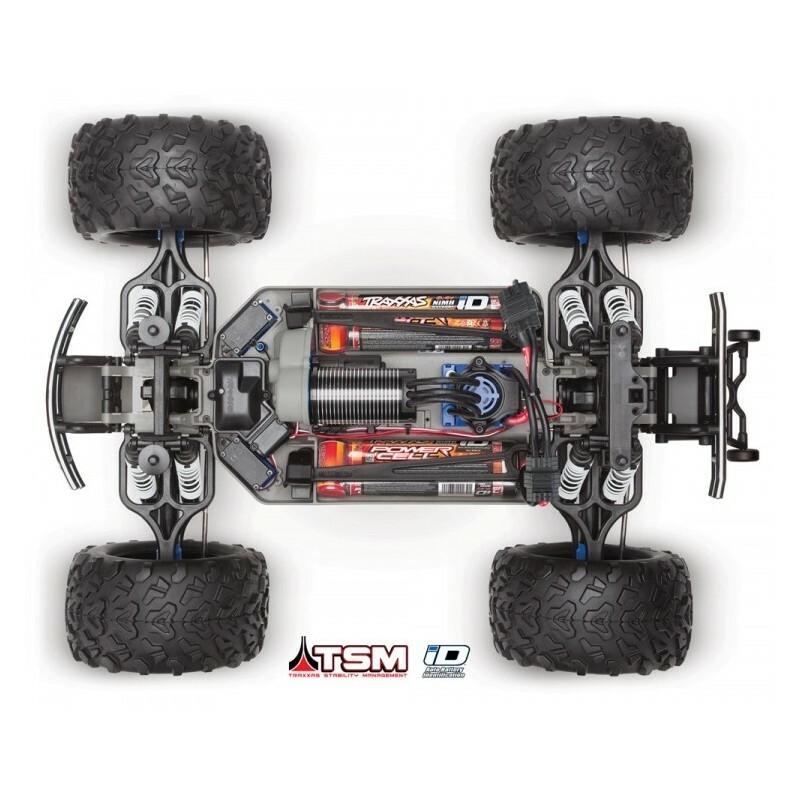 To resist the twist, a beefy 5 mm shaft transfers power to the Brushless-Ready transmission. 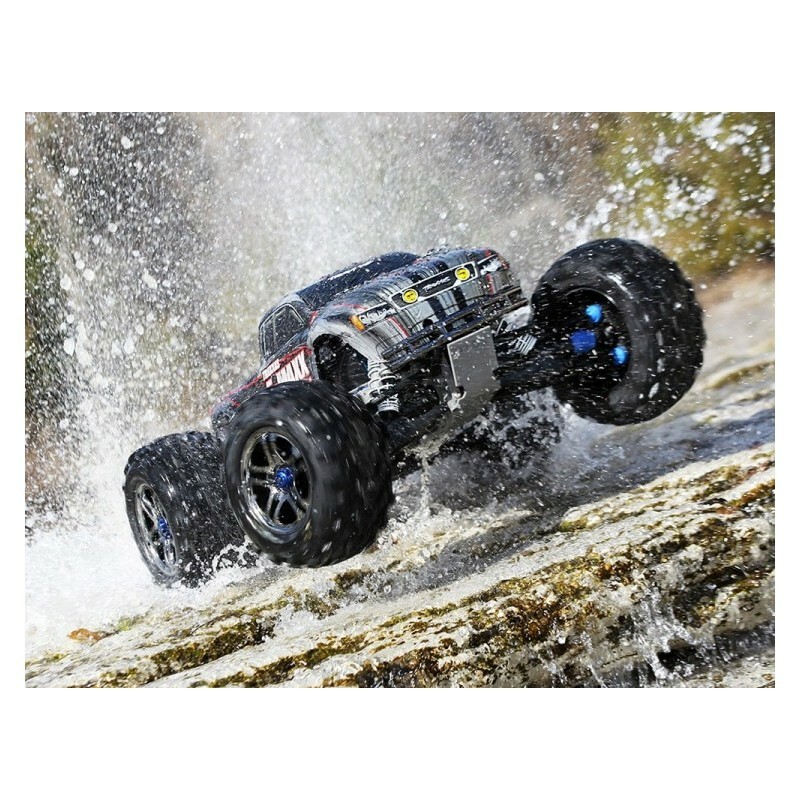 *With included optional gearing. 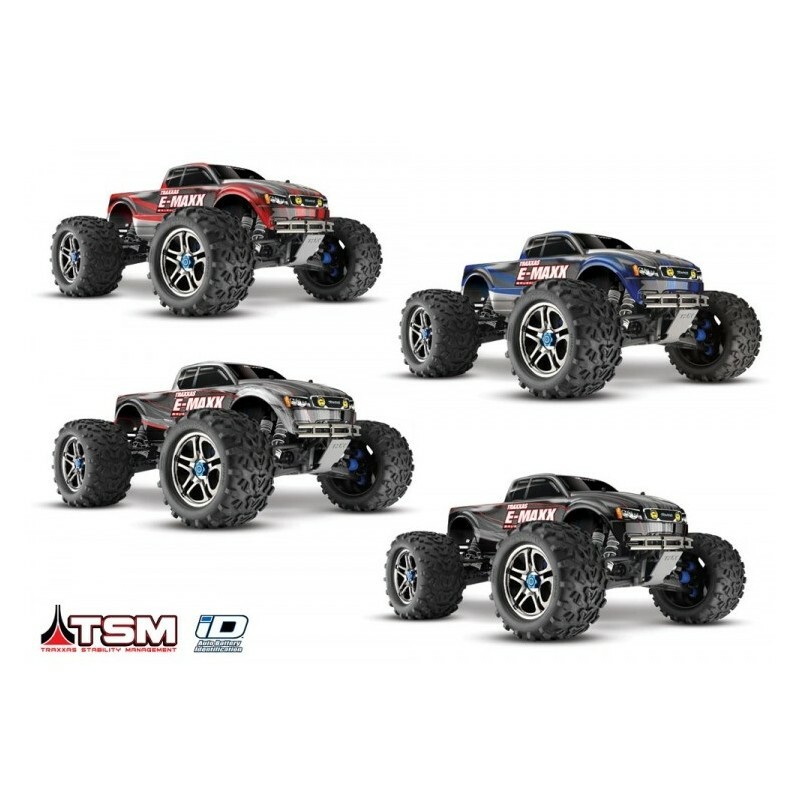 **28T pinion and 65T spur not included.